Wow! Another beautiful visual effect. A card's color changes instantly, impossibly! The spectator will be amazed by this sudden change. You are in total control of the change. 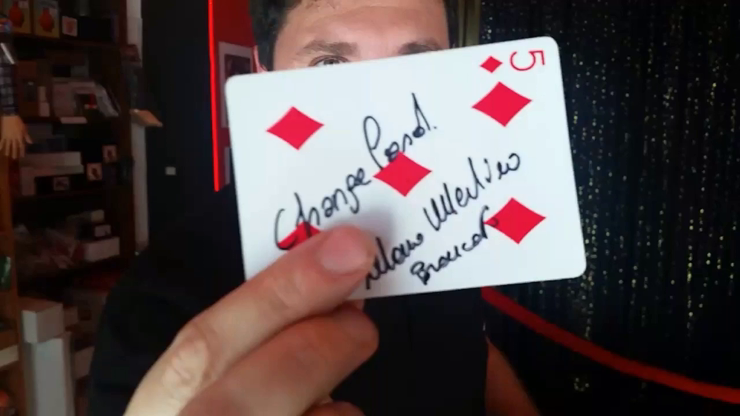 This Video Download teaches you how to create this magical card from one of your favorites. Inside you will find: change one, change two and Double change. Very easy to create, easy to do, with instant reset. You will always keep this card with you. Very strong impact on your audience.